Italy Lottomatica is an Italian lottery game like no other. On the surface, it feels like a run-of-the-mill lottery game, thanks to the all-too-familiar 5/90 format; tri-weekly draw schedule; and lump sum payouts. However, the 11-wheel draw mechanic brings a unique twist to the table—albeit one that may prove to be too confusing for most. Why is that? Read on to find out! 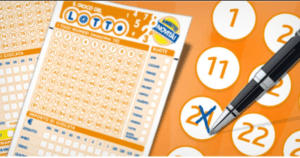 Italy Lottomatica is also known as Il Gioco del Lotto. Believe it or not, Italy Lottomatica’s roots can be traced all the way back to 1528—when its predecessor was launched in Florence. Inspired by an old Italian electoral system, the game drew names of five citizens and awarded them the right—and honor—of becoming Greater Council of the Republic members. Of course, the current incarnation—which is governed by a 1982 law—is much, much different. It is, for the most part, a modern lottery game that offers large cash prizes. And just like most lotteries, it changes over time. In fact, before 2009, Italy Lottomatica simultaneously held different draws in ten cities in the country. Rome was the exception because it was there that the national lottery draw took place. After 2009, however, Italy Lottomatica has been holding draws in three cities, namely: Rome (which also covers Florence and Cagliari); Milan (which also covers Geona, Turin and Venice); and Naples (which also covers Bari and Palermo). Maximum Jackpot: Italy Lottomatica jackpots can go as high as €6 million. Rollovers (and therefore, growing prizes) don’t occur. Tri-Weekly Draws: Italy Lottomatica is played on Tuesdays, Thursdays and Saturdays. Unique Draw Mechanics: The unique draw mechanics—wherein numbers are drawn from 11 wheels—might be a bit confusing at first. 5 Ways to Win: In addition to the jackpot, there are four other prize-tiers you can win in. Decent Odds: The odds of winning are quite decent here. Your odds of winning the lowest prize is 1 in 18, for example. Paid in Cash: All Italy Lottomatica prizes are paid out in lump sum form. Prizes are Taxed: Italy Lottomatica’s prizes are taxed at an 8% rate. How Does Italy Lottomatica Work? Italy Lottomatica utilizes a 5/90 format—which means you pick 5 numbers from 1 to 90. To win the jackpot, you must match all five of your numbers. Of course, like other lotteries, you don’t have to match all numbers to win a prize. To nab the second-tier prize, for instance, you only need to match four of your numbers. Meanwhile, you need only match three numbers to win the third-tier prize, and 2 numbers to match the fourth-tier prize. Drawings are held three times per week—on Tuesdays, Thursdays and Saturdays, every 8:00pm. Lottery results are released in Italy via retail outlets and local media (like newspapers, radio, and TV). Online players can, of course, get the results via the lottery site they used. Italy Lottomatica utilizes 11 wheels to pick the winning numbers. For the uninitiated, it might get a tad too confusing—it’s certainly not an easy concept to wrap your head around. As you can see, compared to most lotteries, Italy Lottomatica definitely has a slightly steep learning curve. For the most part, Italy Lottomatica offers decent odds of winning. Lotteries like Hungary’s Hatoslotto, for instance, offer much better odds—but Italy Lottomatica isn’t so far off. Considering the latter has a much bigger guess range, the odds aren’t that bad. Prizes less than or equal to €531.9 can be claimed directly at any authorized Italy Lottomatica retail outlet. Meanwhile, prizes ranging from €532 to €1,063.82 can be claimed via wire transfer to your bank account. Prizes larger than €10,500, on the other hand, must be claimed at Lottomatica’s office. Winnings will be deposited to your bank account—usually, within a two-week period. In addition to the guidelines, take note that Italy Lottomatica deducts an 8% tax. This applies to both local and international players. In other words, if you played this game from another country, your winnings are more likely to be taxed twice—once in Italy, twice in your country. Of course, this still depends on your local tax laws. Italy Lottomatica is also known as Il Gioco del Lotto—which means “the lottery game”—in Italy. 10 of the 11 wheels Italy Lottomatica uses for draws are named after a city in Italy, namely: Bari, Cagliari, Florence, Genoa, Milan, Naples, Palermo, Rome, Turin, and Venice. The final wheel is called the National Wheel. Ready to take on one of the most unique lotteries around? Italy Lottomatica is certainly a unique beast. The 11-wheel draw mechanic can prove to be too confusing for some, but with a maximum jackpot of €6 million, it might just be worth the trouble. Of course, it also helps that Italy Lottomatica has some decent odds—not to mention the fact that it gives you the chance to win three times a week. Is it the lotto game for you? Hey Joseph, we don’t currently have that information, but we’ll make sure to put it on our list. Keep an eye out for our post! In the meantime, we’ve got a post on lottery odds if you’d like to learn more about different lotteries’ odds.